All Reed Diffuser Oils are not created equal! We know that you want only the cleanest, purest scents for your Brand! Ready to use. No need to add anything to them. NOT diluted with ALCOHOL or DPG. They last much longer than diffuser oils that have been "watered down" with thinners. 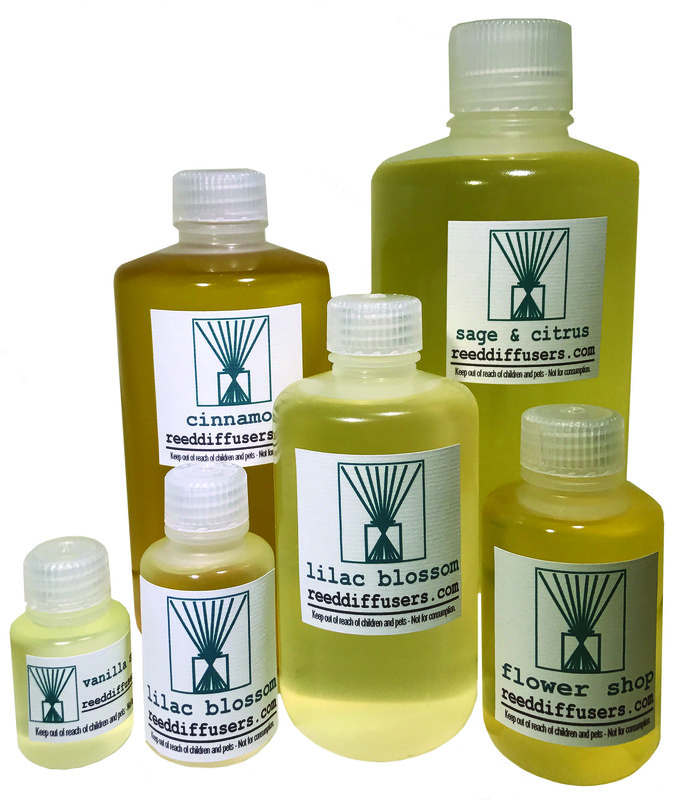 Created by experienced perfumers in the USA from quality ingredients and guaranteed fresh for your reed diffusers. Suitable for refilling all brands of reed diffusers. These are a huge difference from packaged scents that are frequently poured months earlier in China (with questionable ingredients) before they arrive on store shelves in this country. We are happy to use your Logo or Private Label image AT NO EXTRA CHARGE. CLICK here for FREE PRIVATE LABELING INFO. You don't need a Wholesale Account to buy from our store. Click on the fragrance images to view Quantity Pricing. Wholesale Minimum is $250. If you are interested in less than $250, visit our retail store at www.ReedDiffusers.org. Please select product size from Drop Down Menu.